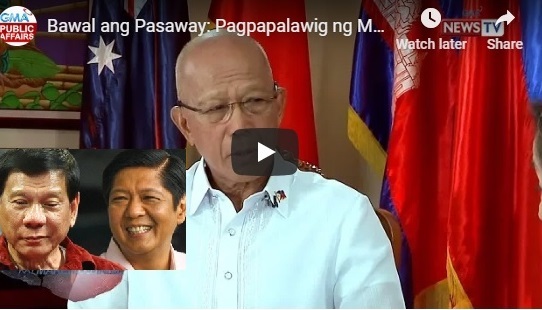 [VIDEO]: Kamakailan lamang ay muling ipinalawig ni Pangulong Duterte ang Batas Militar sa Mindanao hanggang Disyembre 2019. Ano-ano na nga ba ang naging epekto nang pagpapatupad nito noong nakaraang taon? Caloocan Rep. Edgar Erice previously says that martial law extension reflects on the military’s performance and that this is not necessary for Mindanao. The Magnificent 7 lawmakers led by Albay Rep. Edcel Lagman earlier files the first petition. On top of that, another group of opposition lawmakers challenges the factual basis of President Rodrigo Du30’s third extension of martial law before the Supreme Court. The lawmakers argue that the government fails to prove that this specific public safety requirement exists.” They said that Du30 requests for its extension with general terms instead of factual arguments. The President allegedly did not submit a more detailed report to support his administration’s statement of continuing rebellion in Mindanao. The members of Congress did not receive such document. They believe that the rebellious incidents do not endanger public safety. This a ground to impose martial law under the Constitution, they added. The Makabayan bloc is composed of House Representatives Carlos Isagani Zarate of Bayan Muna, Emmi De Jesus and Arlene Brosas of Gabriela, Ariel Casilao of Anakpawis, Antonio Tinio and France Castro of ACT Teachers and Sarah Jane Elago of Kabataan party list. Named as respondents are President Rodrigo Du30, Congress of the Philippines represented by Senate President Vicente Sotto III and House Speaker Gloria Macapagal-Arroyo, Executive Secretary Salvador Medialdea, Defense Secretary Delfin Lorenzana, Armed Forces of the Philippines Chief of Staff Lt. Gen. Benjamin Madrigal, Jr., and Philippine National Police Director General Oscar Albayalde. 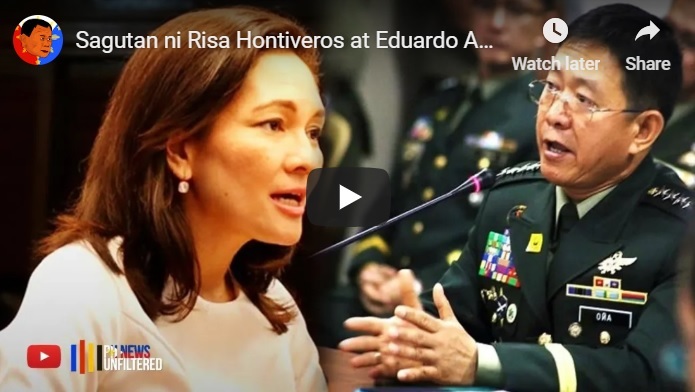 Hontiveros expresses her sentiment that law enforcement agencies should rely on the 1987 Constitution on the fulfillment of their duties, and not on military rule. She is against the extension of martial law in Mindanao. Her reactions to the statements of Secretary Año during the joint session of the Congress are all critical to it unsurprisingly. Senator Hontiveros expresses fears that the military rule can cause harassments to local and national politicians from the opposition. This pertains especially those who will run in the 2019 midterm elections. The Congress conducts a joint session to tackle the extension of martial law in Mindanao recently as per the request of the President. The continuing rebellion in Mindanao necessitates the need for additional power to law enforcement agencies. This is something that Hontiveros is uncomfortable about. Twelve senators vote in support of the martial law extension. They are Senate President Vicente Sotto III, Senate Majority Leader Juan Miguel Zubiri, and Senators Gregorio Honasan II. Panfilo Lacson, Richard Gordon, Cynthia Villar, Grace Poe, Aquilino Pimentel III, Joseph Victor Ejercito, Juan Edgardo Angara, Sherwin Gatchalian, and Emmanuel Pacquiao also said yes to it. Speaker Gloria Macapagal Arroyo who presides the joint session with Senator Tito Sotto supports the martial law extension. There are five senators who are against the President’s desire for the military rule extension for the third time in Mindanao. They are Paolo Benigno Aquino IV, Franklin Drilon, Francis Escudero, Risa Hontiveros, and Francis Pangilinan. Senate President Pro Tempore Ralph Recto abstained. The Senate and the House of Representatives vote to extend martial law and the suspension of the privilege of the writ of habeas corpus in the whole Mindanao until the end of 2019 at 235-28-1. The Senate vote is at 12-5-1 and the House 223-23-0. This takes almost five hours of deliberations. Philippine President Rodrigo Duterte discloses that he might have cancer and added that he does not know where he stands as the results of recent medical tests have not come yet. Duterte said in a speech in Manila that he underwent an endoscopy and colonoscopy about three weeks ago. His doctor was advised this week to repeat the tests. Both tests aim to diagnose any abnormality in the digestive tract and colon. Despite the uncertainty of his health, he refuses to give hope to Vice President Leni Robredo that she can soon take over his place. He thinks that she is too weak strategy-wise to be a good leader for the Philippines. 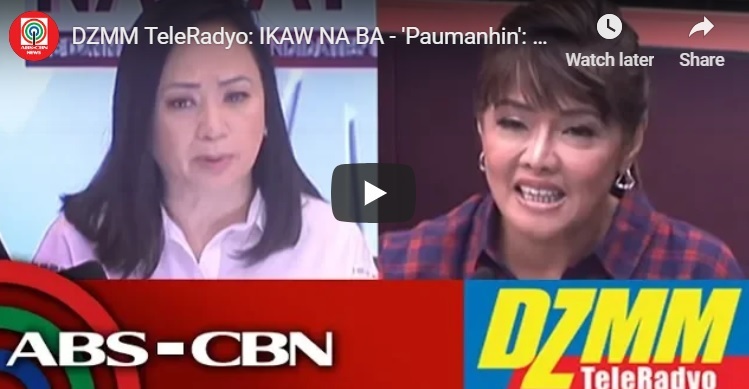 [VIDEO]: President Du30 said that VP Leni Robredo is too weak to be the next Philippine leader. Duterte has admitted even before that he has Barrett’s Esophagus, a gastroesophageal reflux disease in the stomach. The President has stated that he does not know how he is physically-speaking now. However, he said that in case he has cancer, he will let the public know about it. He does not care if it is stage 4. For sure, he will not prolong his agony both personally and professionally. The president also said that he will not prolong the agony of the top office of the land but to resign is definitely not an option. This strike against Robredo is not new anymore. Duterte earlier said he would rather leave the country in the hands of a Marcos than his constitutional successor. He once said, “If I stop now in my crusade against drugs, and if there is no order in this place, and corruption will continue? You’re dead meat. I said you’re better off choosing an alleged dictator in the likes of Marcos. 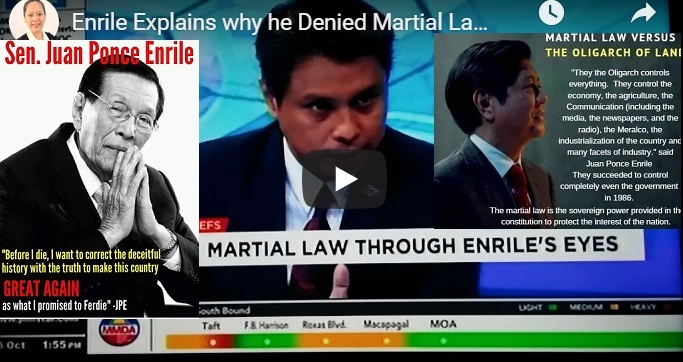 That’s what I suggested.” The late Ferdinand Marcos was accused as a tyrant but many prove the allegations as wrong and were just a black media propaganda against him. His namesake, Ferdinand Marcos is the Protester for the VP post. Contrary to the media propaganda of Robredo’s camp, Atty. Glenn Chong assures the public that the recent threshold the PET uses for the recount of the VP electoral protest filed by Bongbong Marcos against Leni Robredo is 50%. 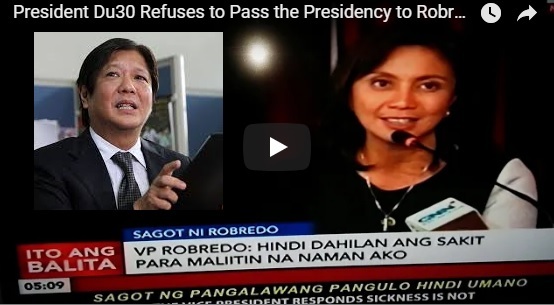 Chong explained that 21,000 votes of Robredo did not pass the Supreme Court standard. As of now, they are set aside first. Therefore, the presumptive Vice President has 21,000 fewer votes currently. This is why in the revision reports, the total number of Robredo’s votes is a lot lower than the total of the election returns printed from the election machine. According to Armed Forces Chief of Staff, Carlito Galvez Jr., the CPP has organized in at least 10 universities in the Metro for the plot to oust President Duterte. The traces gathered involving the activities of Reyes with the communist group can support this allegation. Galvez is also claiming that the communists intend to drag Duterte into declaring martial law as a political death trap. He compares it to the Plaza Miranda bombing of the 1970s. The authorities contemplate that a more or less similar scenario can happen again as per the nature of the rebels’ history.